Two blogs, Forgotten Weapons & The Firearm Blog have both posted the photo to the right. It appears it was found in Rio by police. 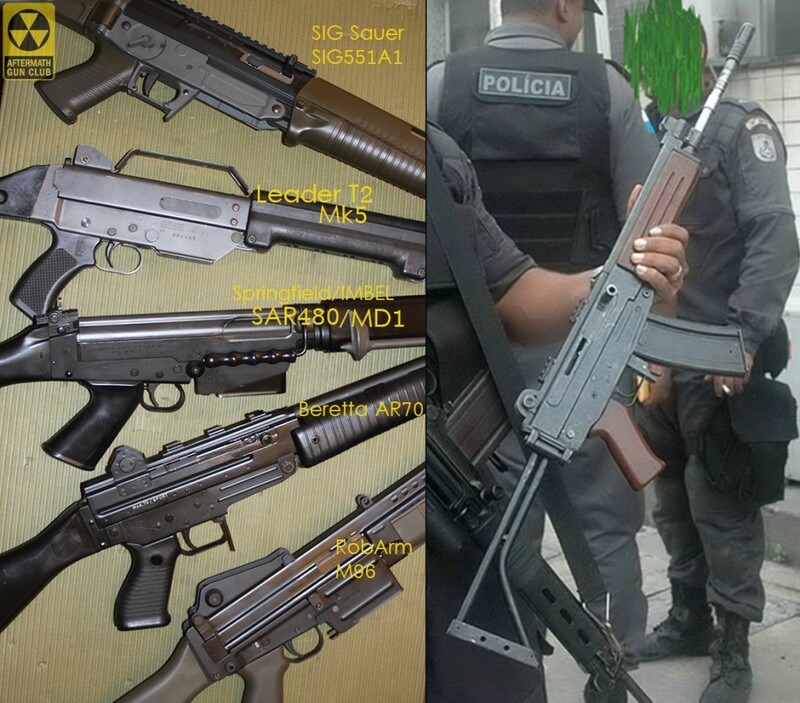 The Springfield should read as “SAR4800”; a version of the MD1 5.556mm imported from Brazil. Speculation leans that it is an IMBEL MD type. The MD is a 55.6 rifle based on a FAL. The FAL has a pivot pin behind the magwell, entirely unlike the mystery rifle here.For that matter, it isn’t anything made by Taurus or IMBEL, unless it was a prototype. The MD prototype in .22LR had a similar lower receiver but had a different upper with the charging handle on the other side and the magazine section wasn’t similar to the gun here. It isn’t a Gwinn/Bushmaster rifle nor is it a Stoner 63. 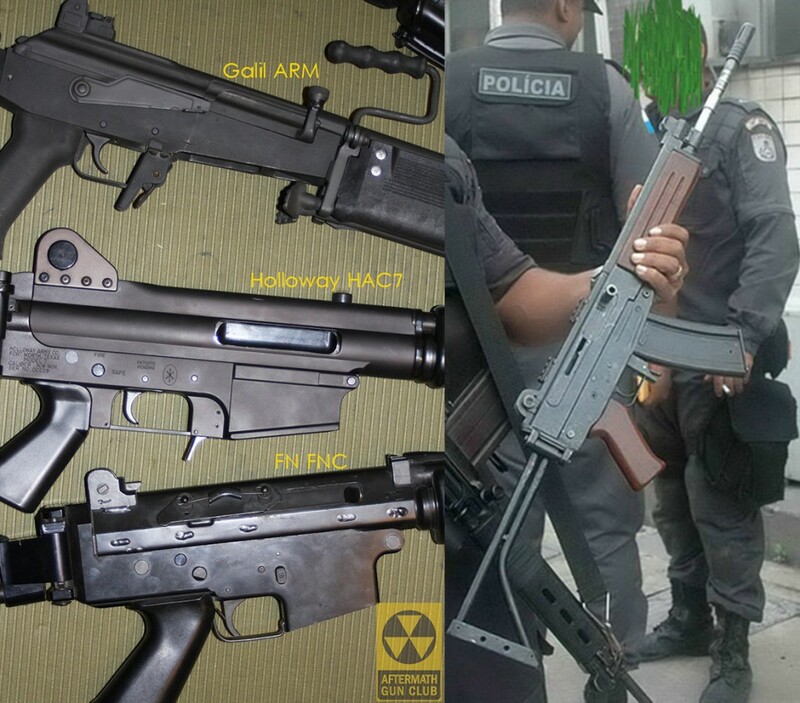 The rifle to the right is not a Galil or Valmet derivative, nor is it another oddball AK, there is no receiver cover. It isn’t an FN FNC, FN CAL, Pindad SSG1, or Bofors AK5. 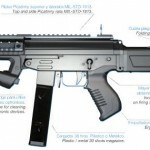 It isn’t a SIG SG530. The Beretta AR70 was engineered closely with SIG in the early design stages an the upper receiver of this rifle does resemble the AR70 as well as the ArmaLite AR-18 to a degree. 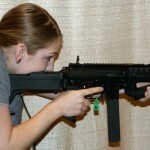 The lower trigger housing (receiver) does resemble a SIG or FAMAE SG540. That’s the best I can estimate – An SG540 type lower with an AR70 type upper. 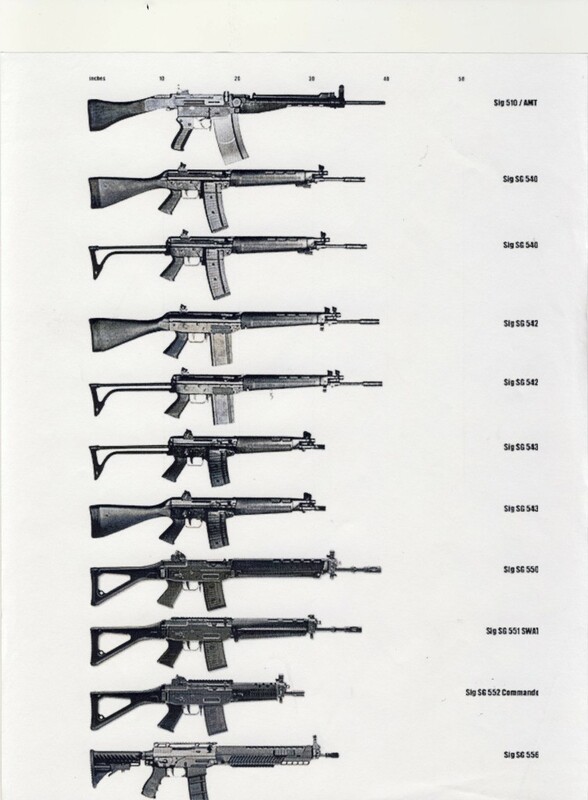 In reading about South American guns I found that the Gordon Ingram designed FBM assault rifle, adopted by Bolivia in 1998, never went into production. I was unable to find a photo in any of our books or online. My Uncle, my father's cousin really, had a stockpile of ..
QBZ variant from China, they bought a bunch of chicom rifles in Venezuela when we had an embargo.